USA NETWORK announces series pickup for Megan Abbott’s DARE ME! Abbott will serve as writer and executive producer, along with Gina Fattoree. The series will be Co-Produced by UCP and Netflix in association with Film 44 and will star Willa Fitzgerald, Herizen Guardiola and Marlo Kelly. It will be executive produced by ‘Friday Night Lights’’ Peter Berg and Michael Lombardo of Film 44. Check out the incredible review's for Rachel Barenbaum’s debut novel! Emma Watson has incredible things to say about Stephen Chbosky’s IMAGINARY FRIEND! Kimberla Lawson Roby’s BETTER LATE THAN NEVER has been nominated for a 2018 NAACP Image Award in the Outstanding Literary Work (Fiction) Category! This is the 50th Anniversary of the Image Awards, and winners will be announced on March 30th. Literature is one of many award categories, including Motion Picture, Television, Recording, and Directing. View the entire list of nominees here. Earlier this week, Little, Brown announced the acquisition of UNEXPECTED, the long-awaited memoir from Katie Couric, one of the most celebrated and beloved journalists of our time. Publication is slated for spring 2021 Read the press release here. Octavia E. Butler's Parable books will be reissued by Grand Central Publishing, beginning with Parable of the Sower. It's sequel, Parable of the Talents, will be reissued later in the year. Read N.K. Jemisin’s Foreword to Parable of the Sower here. 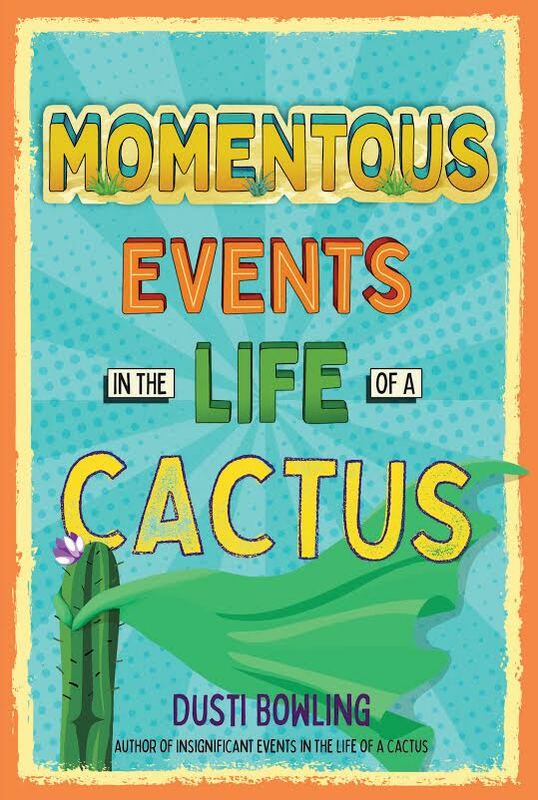 The sequel to the monster hit Insignificant Events in the Life of a Cactus will be released FALL 2019! The sequel to the critically acclaimed Insignificant Events in the Life of a Cactus follows Aven Green as she confronts yet another challenge: high school. Just as Aven starts to feel comfortable in Stagecoach Pass, with her friends and schoolmates accustomed to her lack of “armage,” everything changes once again. She’s about to begin high school . . . with 2,300 new kids to stare at her. And no matter how much Aven tries to play it cool, nothing prepares her for the reality. In a year filled with confusion, humiliation, fears, loss, and just maybe love, can Aven manage to stay true to herself? Attn Booksellers! Celebrate #JDSALINGER’s Centennial with these Beautiful New Editions. Trying to get to the bottom of Billy’s story, Strike and Robin Ellacott - once his assistant, now a partner in the agency - set off on a twisting trail that leads them through the backstreets of London, into a secretive inner sanctum within Parliament, and to a beautiful but sinister manor house deep in the countryside. Robert Galbraith is a pseudonym for J.K. Rowling, bestselling author of the Harry Potter series and The Casual Vacancy. The three previous Strike novels, The Cuckoo’s Calling (2013), The Silkworm (2014) and Career of Evil (2015) all topped the national and international bestseller lists and were adapted for a major television series for BBC One, produced by Brontë Film and Television. Exciting news! Abrams Books bestselling series The Diary of a Wimpy Kid BOOK 10 (9781419717017) will be published on November 3, 2015. It is one of the most anticipated books of the fall. Read USA TODAY's coverage here - http://www.usatoday.com/story/life/books/2015/03/26/book-buzz-exclusive-diary-of-a-wimpy-kid-jeff-kinney-november/25044197/. The final cover will be revealed on April 27 at 9:30 a.m. EST by Jeff Kinney with XM Sirius satellite radio's kids' host Absolutely Mindy and then will available on www.wimpykid.com. Exciting news! On November 4th, 2014 Abrams Books will release the latest installment of the bestselling Diary of a Wimpy Kid Series. The new book, THE LONG HAUL, will follow Greg and his family on a road trip. The title and the cover were revealed last week by Publishers Weekly (read the article here!) and by Abrams Books at the Bologna Children's Book Fair. More details to come! 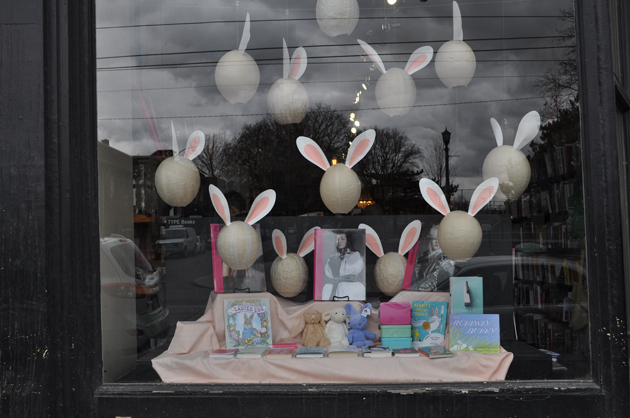 If you live in Toronto, every four to six weeks your savviest book friend will likely drag you to Queen West indie retailer Type Books to view the store’s magical, strange, inventive and whimsical window, which has featured papier mâché floating bunny heads, a three-dimensional Toronto alley, boomboxes from 1985, handcrafted balloons, giant pom-poms, and everything in between to draw your attention to their incredible selection of books. And, turns out, Kalpna Patel, the clever designer behind Type’s highly touted window, has only been at it for a year, which is saying quite a bit about her skills. 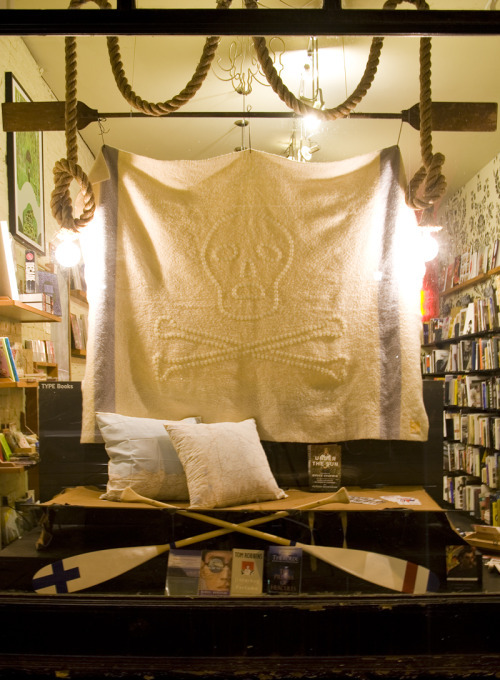 For her latest spectacular creation, Kalpna has collaborated with author and cartoonist EVAN MUNDAY to celebrate the release of his new book DIAL M FOR MORNA (9781770410732), published by ECW Press (check out THE GRID's photo gallery of Kalpna creating the display). 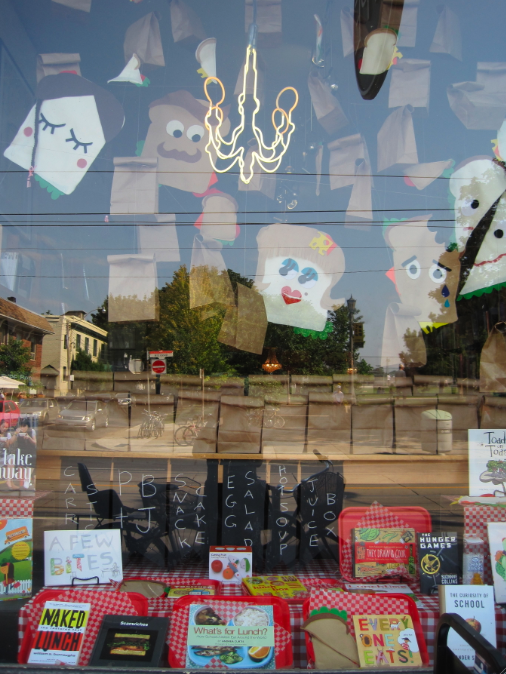 The spooky Halloween themed window (above) features Munday’s exquisite hand-drawn portraits of Type Book's staff that will surely delight passerby and loyal customers for the next few weeks. Interested in getting your own portrait? This weekend you can meet Munday at Type - he'll be painting Goth faces on people in the window on Saturday, October 26th from 12-5pm and Sunday, October 27th from 12-4pm. Expect to be thrilled. October’s friend Yumi finds herself the target of anti-Asian harassment at school. Solving two mysteries at once won’t be easy, but our intrepid heroine in black eyeliner loves a challenge. Follow October, Cyril, Tabetha, Morna, Kirby, and Derek as they sleuth their way through a blizzard of suffragettes, iceskating disasters, mystical telephones, and boats named Titanic, all set against a backdrop of yuletide pandemonium. Today is the launch of Abrams Books Diary of a Wimpy Kid Uncover the Colour Campaign! Visit wimpykid.com and shake Greg Heffley’s crystal ball to find out more about the cover, title and colour of book 8. The campaign will run until August 8, 2013, when the colour, title, and cover of the latest installment of Wimpy Kid will be revealed-online and at a live U.S. event (tba).